Tamil star hero Vijay is currently busy with the film Sarkar. 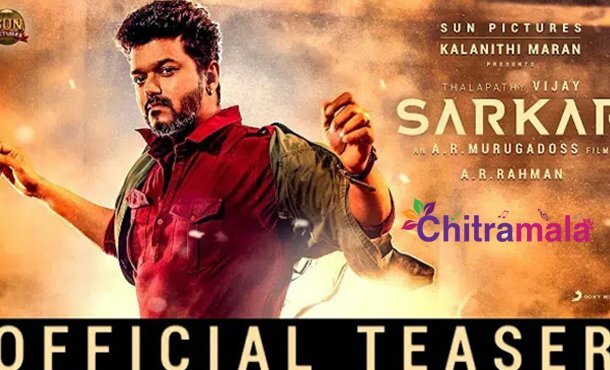 The makers of Sarkar launched a teaser yesterday which has opened to a great response now. The teaser opened to 30 lakh views in just 35 minutes and created a storm on the social media. In 16 hours, the teaser clocked 11 million views and has been trending since the time it was out. The fans are very happy with the teaser’s content and are celebrating the same in a huge manner. AR Muragadoss shared a video of the same on the social media and was surprised at the amusement of the fans. He has earlier teamed up with Vijay for the hits like Thuppaki and Kaththi. As this is the third film in their combination, there are high expectations on the project. Keerthy Suresh, Varalakshmi Sarath Kumar and others are a part of the project. AR Rahman is scoring the music for the film. Sun Pictures is the production house on which the project was bankrolled. The film is releasing on 6th November.